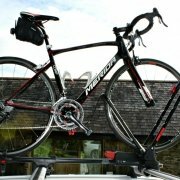 I’m sold on the new breed of bike carrier’s from Roof Box Company that fold around the wheels, but this one had me a bit wary to start with. The main issue being the lack of ‘T’ bar connection, and the structure of the front gripper for roof bars, which seems to have a square block type structure, meaning that it doesn’t look as though it’ll go neatly around your aero bars. It’s a small point, but when testing I wanted to make sure that it stayed firmly attached to my Audi bars, and that it didn’t dig into them with its block edges. A small piece of foam around the front gripper soon resolved this, and it was firmly and safely attached. If you have non-aero bars, or bars that aren’t so dramatically aero then it won’t be an issue. For me though, it could be fixed by Yakima with a small adapter to round the gripper off for aeros. A small point and only 1 star lost due to this. Now then, onto the real detail – how did it perform on test on the road? Fitting the carrier to the car was simplicity itself once this aero issue was addressed. It simply slipped over the bars, on when the fixing below the bars, a quick tighten at both bars and hey presto! Giving it the usual stability test, it stayed firmly in place despite my efforts to move it. Opening the front wheel loader was easy, by simply fitting the supplied lock, twisting the red handle and lowering it to lift the bike into. 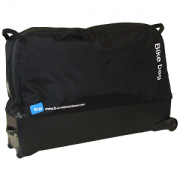 The rear wheel arch support moves easily along the carrier arm for the variety of bike sizes, and has a really tough and easy to use ratchet wrap for keeping the rear wheel in place. Lifting the bike up, you place the front wheel into the very wide wheel guard, which has clips to alter the size for all wheels. Then it’s a case of lifting the smaller or the wheel arms onto the back of the front wheel and twisting the red handle to lock it in place. 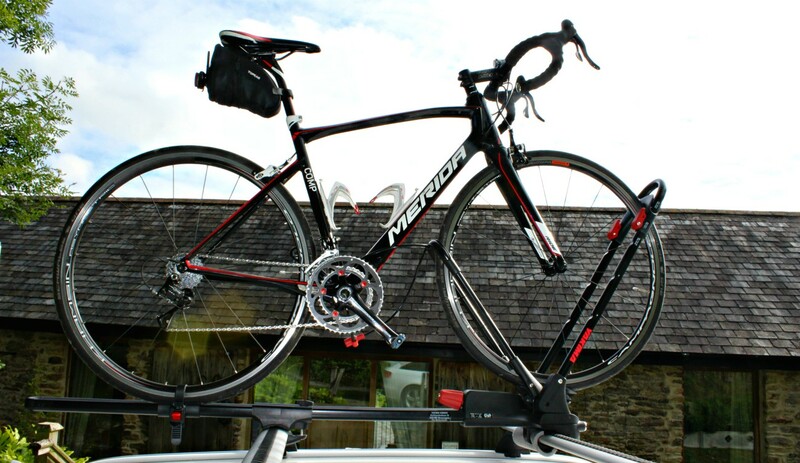 You’re also given a very useful security strap to fit the bike carrier around the frame for peace of mind. All good so far then, and a very quick and easy for anyone. Best of all, your nice expensive carbon frame is not touched and therefore not damaged . 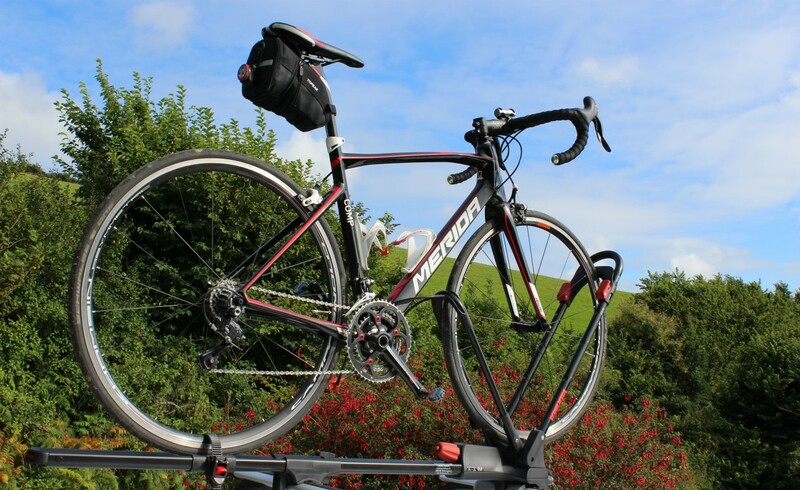 Testing this carrier on the roads, I’ve been using it on long motorway journeys, as well as some very tight and twisting and steep country lanes. 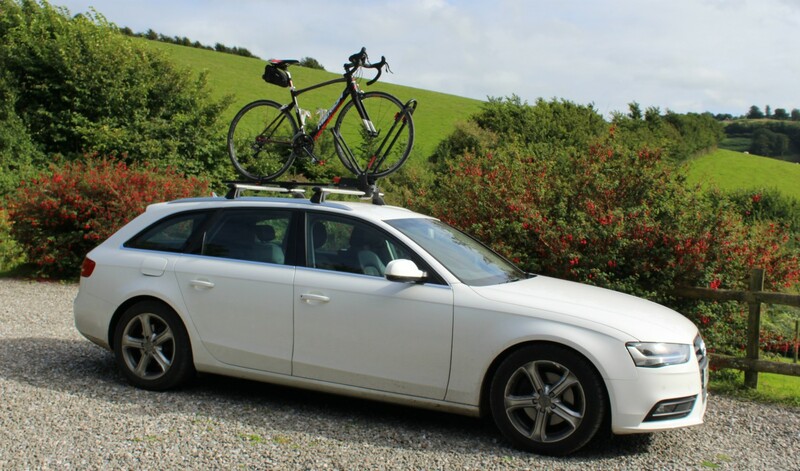 Whilst I actually passed a car that had a bike hanging off a carrier from another manufacturer, the Yakima has been rock solid all the way, with no adverse movement, and no cries from lane side sheep as a flying bike hit them full on! 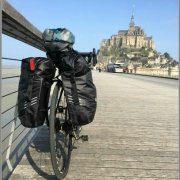 I’ve fitted a selection of bikes to the carrier: BMX, Road Bike, Mountain Bike, getting a good selection of tyre sizes, and all slip in to the very wide and very secure wheel arms easily. 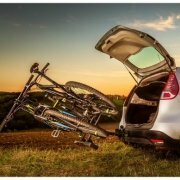 I suppose that despite my early reservations, the Yakima Front Loader from Roof Box Company is a great little carrier. With all the carbon frames now on the road, it makes sense to get yourself one of these. Price wise, they’re also very reasonable and won’t break the bank.